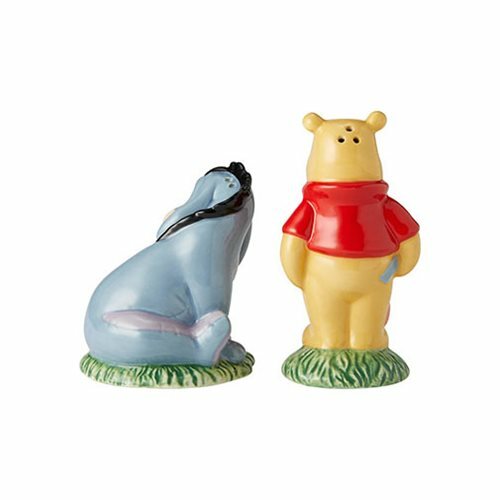 Winnie the Pooh is always happy to lend a helpful hand whenever Eeyore needs held reattaching his tail. 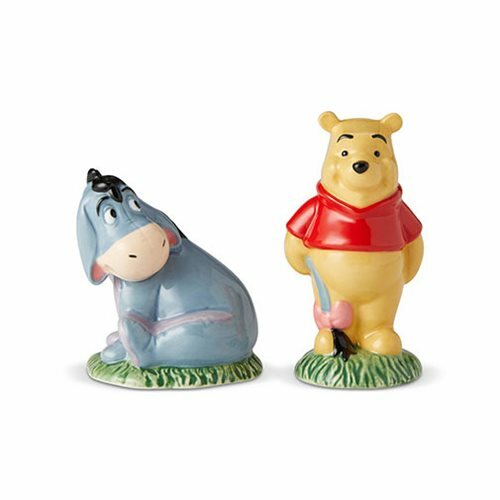 The delightful Disney Winnie the Pooh Pooh and Eeyore Salt and Pepper Shaker Set is made of stoneware and comes in window box packaging. Measures about 3 3/5-inches tall x 1 7/10-inches wide x 1 7/10-inches long. Hand wash only. Not dishwasher safe. Do not microwave.